Get your hands on the top of the line of our basic oak Tai Chi Ball. 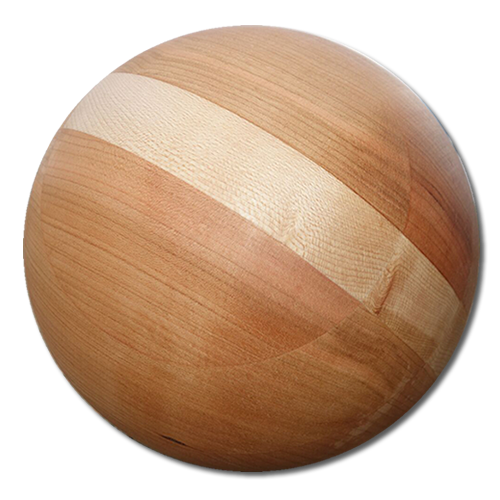 The exquisite HALO ball is made of layers of sustainably-farmed red oak hardwood, with a halo of white maple through the center. You may learn to emit your Qi energy through the solid maple halo across the center of the ball. This TAI CHI BALL will inspire your practice for years to come. Get your hands on top of the line of our basic oak Tai Chi Ball. The exquisite HALO ball is made of layers of sustainably-farmed red oak hardwood, with a halo of white maple through the center. You may learn to emit your Qi energy through the solid maple halo across the center of the ball. This TAI CHI BALL will inspire your practice for years to come.